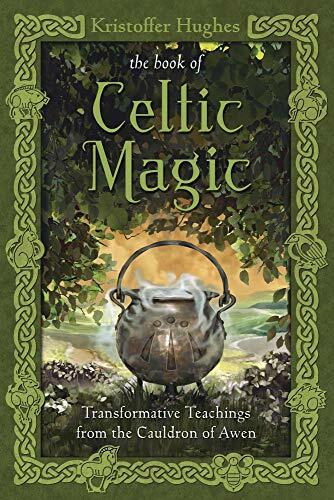 [PDF] The Book of Celtic Magic: Transformative Teachings from the Cauldron of Awen | Free eBooks Download - EBOOKEE! Description: Delve into the depths of a magical current that spans over two thousand years. The Book of Celtic Magic provides the unsurpassed power of practical magic and the transformative forces of ancient Celtica. Druid priest Kristoffer Hughes invites you to explore the pantheon, myths, and magic of his native Wales. Discover the magical allies, the gods and goddesses, and the spirits of place that form the foundation of this vibrant tradition. Practice rituals that draw you closer to the divine energy of the trees, plants, and animals that surround you. Work with spells, conjurations, invocations, and magical tools that have been developed and refined from genuine Celtic sources. Complete with exercises and a glossary of terms, this step-by-step guide is a definitive source of authentic Celtic magic. 2017-11-30[PDF] The Magic Pattern Book: Sew 6 Patterns into 36 Different Styles! No comments for "[PDF] The Book of Celtic Magic: Transformative Teachings from the Cauldron of Awen".